This game will enable children to understand pairs of words which express basic opposite ideas. The game is designed for children aged 3 and over and is based on the following characteristics: Learning and recognising opposite concepts. Associating ideas with their opposites. Acquisition of vocabulary. Help the dinos by stitching the parts of their bodies together! 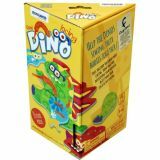 Join the parts of each dinosaur´s body and stitch them together, developing your manual skills and reasoning capacity. 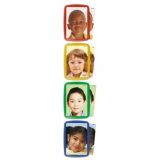 Each puzzle depicts a different ethnic group to demonstrate diversity. Made of FLEXIBLE, THICK and UNBREAKABLE PLASTIC! They can be EASILY CLEANED! Plastic trays made for EASY ASSEMBLY and STORAGE! 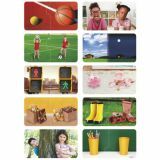 Patterns cards are made of thin plastic too! GREAT QUALITY ILLUSTRATIONS!